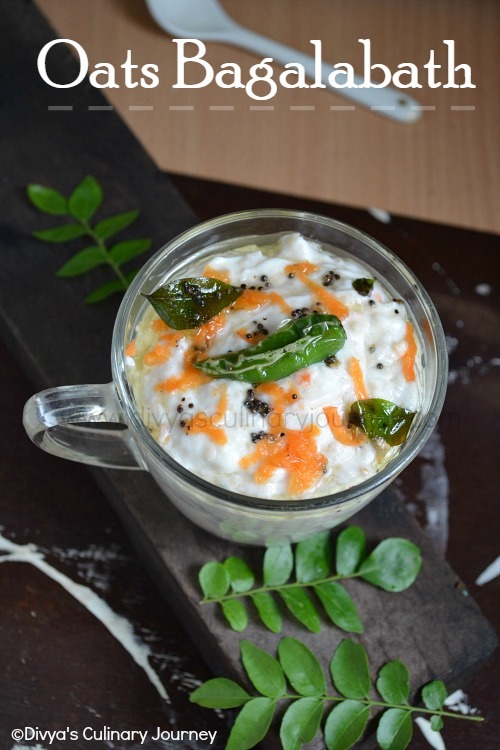 Today I am going to share a simple chutney recipe here. It is Peanut Chutney. It is also called as Ground nuts and in tamil it is called as Nilakadalai or Verkadalai. This chutney happens to be my hubby's favorite chutney. It is very easy to make and is delicious. 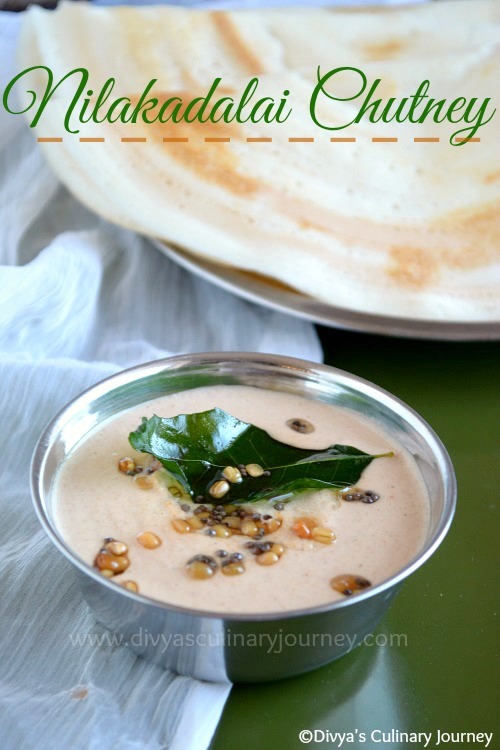 This chutney makes a wonderful side dish for Idly and dosa. Dry roast the peanuts till it is lightly golden and let it cool down. Then grind these roasted peanuts, along with red chillies, tamarind, grated coconut and garlic (if using) into fine paste. Add water as required to grind it smoothly. Then heat the skillet and add oil and mustard seeds, when they crack, add urad dal, curry leaves and asafoetida and fry for a minute or two.Then add this tempering to the ground paste and mix well. Adjust the consistency as required and also the salt as per requirement. After roasting the peanuts and as soon as turning off the heat, add required dry chillies to the peanuts, mix and let it cool along with it. This will give slight roasted effect to the chillies. For more healthier version, you can skip grated coconut and the tempering. My family favourite chutney. Easy to make and also a flavourful healthy chutney. 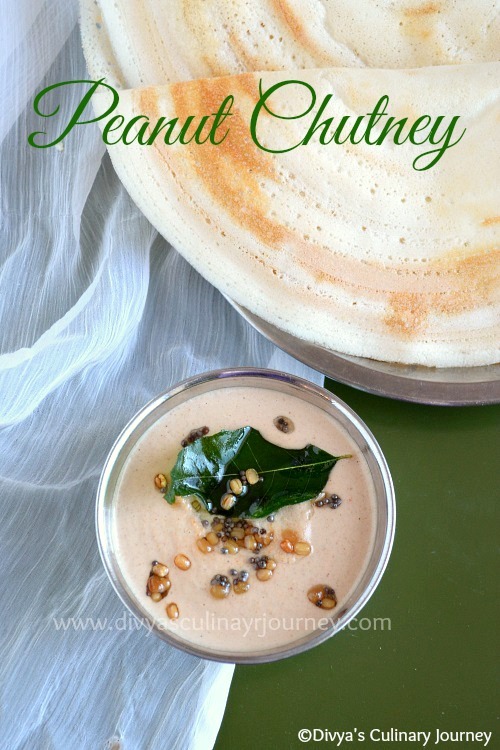 My favourite chutney.. Beautiful clicks.. Love to have with dosa now..
Love this chutney, I do it the same way..
my fav one...comforting side dish..